Aiyarappar temple is 13 km from Thanjavur in the village of Tiruvaiyaru,on the banks of the river Kaveri. Theis temple is one of the 'Paadal Petra Sthalams'. Thiruvaiyaru means (thiru aiy aaru) meaning five rivers around the town. They are Arisilaaru, Vennaaru, Vettaaru, Kudamurutti and Cauvery. Thiruvaiyaru is more famous for the annual Thyagaraja festival conducted during the mid of January every year. Many eminent carnatic musicians from all over the world assemble here to sing the keerthanas of Sri Thyagaraja as homage to the saint composer, followed by grand festival and pooja at his adishtanam on the banks of Cauvery near the Aiyarrapar temple. 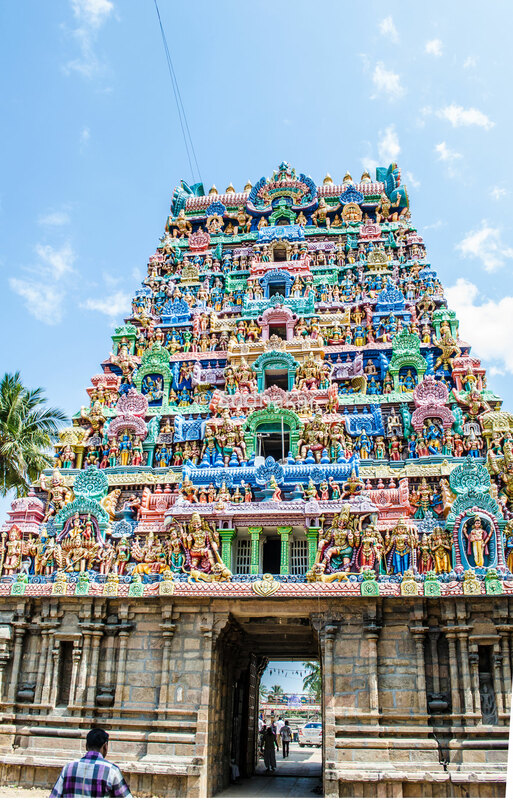 The Temple: The temple is also known as Dakshina Kailasam (Kailash of the South), built in an area of approximately 15 acres (60000 square meters), has 5 prakarams and many 'mandapams' (halls). The Tiruvaiyaru temple has also a sannidhi for Aatkondaar or Kala samharamoorthy. A homa Kundam used by saint Adi Sankara can be seen outside the shrine of this sannithi.The presiding deity of temple is named Aiyarappar (Ai aru appar - five rivers ). There are five pushkaranis (water tanks) in the temple namely Surya Pushkarani, Ganga Theertham, Chandra Pushkarani, Palaru and Nandi Theertham. 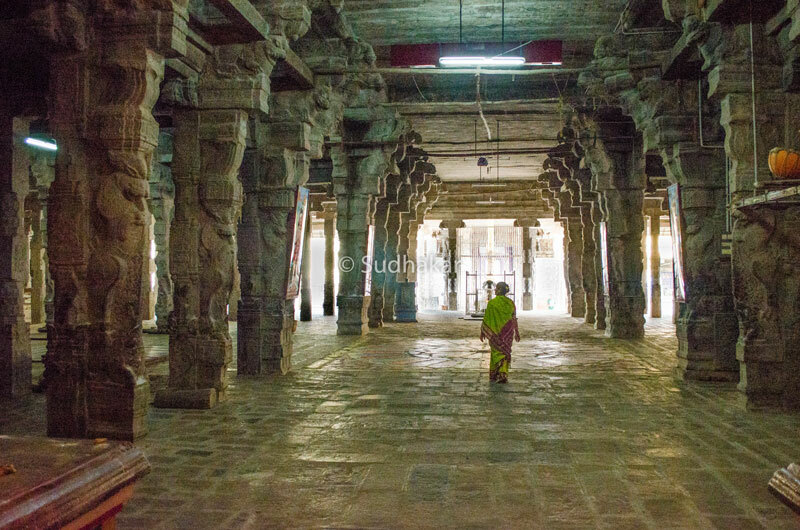 The temple is believed to have been built by sage Neymasa as desired by Shiva.There is a mandapam called Mukthi mandapam where Panchaksara japam is recited. Lord Shiva in the temple is a swayambumurthy (self manifested). It is believed that His Jada mudi (long and thick tuft of hair) is spread throughout the place behind the sannidhi,pradikshanam (circumambulation) is prohibited. 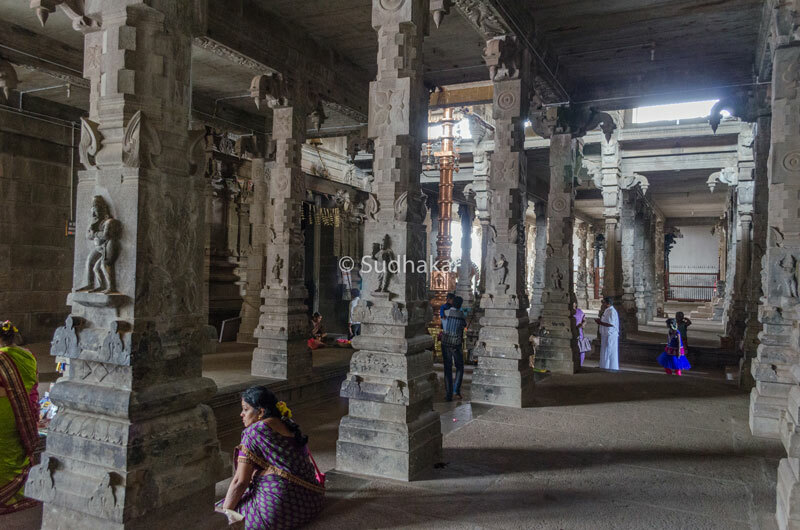 The Goddess in the temple is Dharma Samvardhini (meaning mother who upholds Dharama). 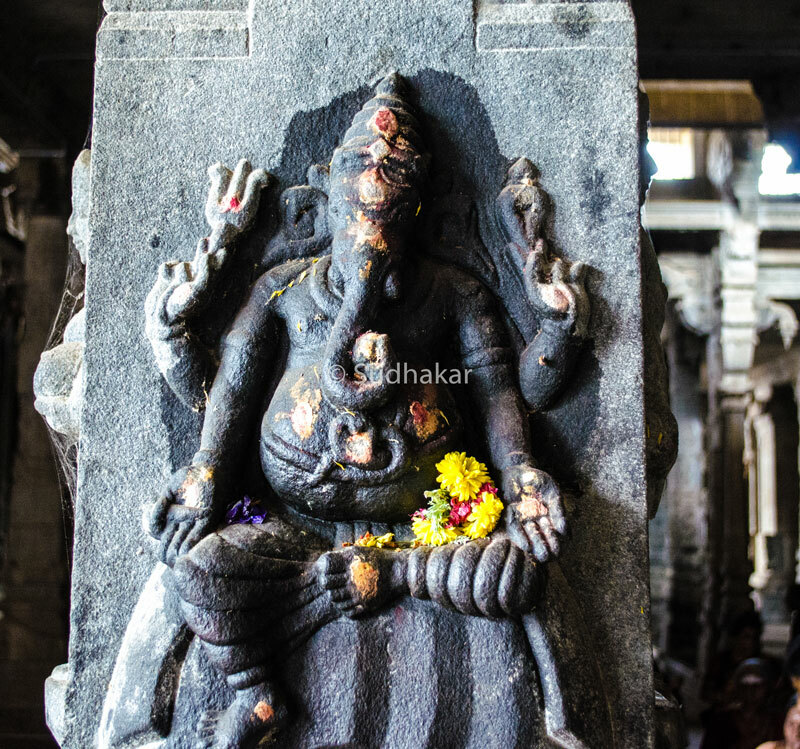 There are sannidhis for Dakshinamurthy, Ganesha, Nataraja,Subramanya and Navagrahas. Important Festivals: Five poojas are performed in a day at the sanctum sanctorum. Maha Shivrathri in February-March is celebrated in a grand manner. The pradosham days are also very crowded here. Temple location The temple is on the main road of the town, 12 kms from Tanjore. Where to Stay? There are not many good hotels here at Tiruvaiyaru but can find good hotels at all budgets in Tanjore. Other notable temples nearby Thirukandiyur is one of the 108 vaishnavite divya desams,an ancient Shiva temple, Varagur Perumal temple, which around 30 minutes drive are some of the temples worth visiting in this belt.